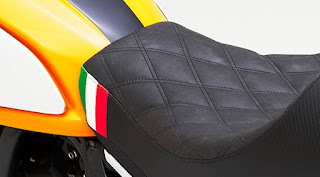 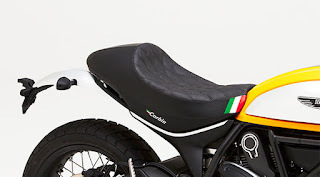 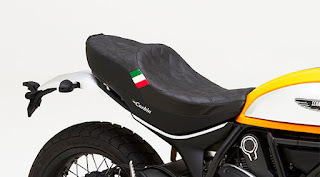 Corbin shows the all-new Gunfighter saddles for the Ducati Scrambler, two aftermarket seats that make the Italian bike stand from the crowd. 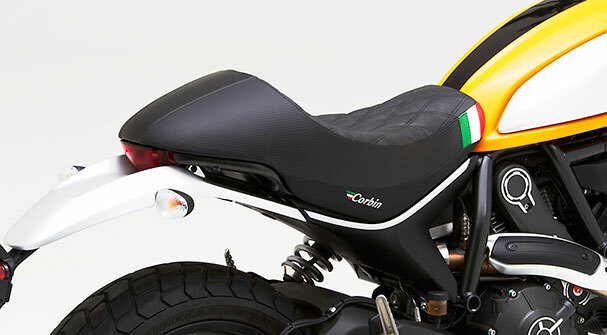 The standard seat of the Scrambler is not exactly ugly, and is neatly integrated with the lines of the bike. Somehow, many found it a tad too modern for a bike that's supposed to hark back to the era four decades ago. Ducati has recycled some of the most prominent design cues of the original Scrambler and reinterpreted them using a modern approach. 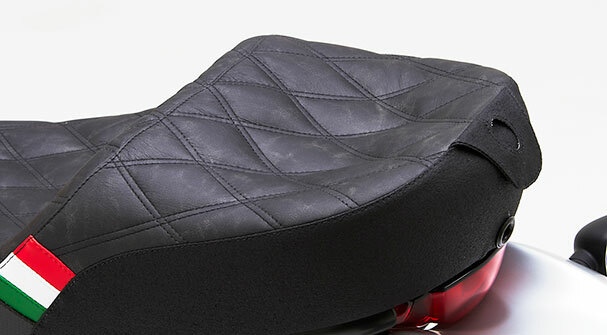 For the Gunfighter seat, Corbin followed the same recipe, incorporating retro styling and modern technologies. 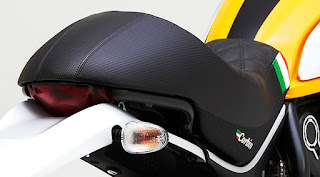 Comfort and a reassuring position were the main goals for the seat and it looks like Corbin nailed it with this seat. Using the same Comfort Cell foam and premium materials, Corbin was able to deliver a direct replacement on stock mounts, but changed the whole seating position. 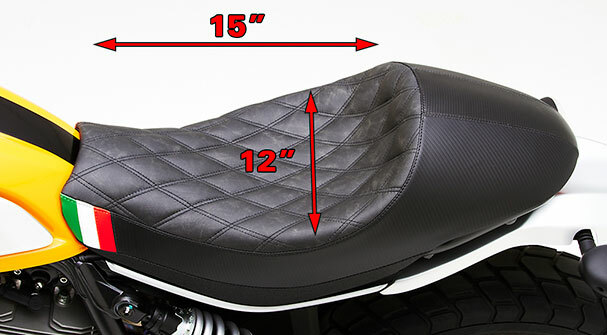 The center pressure points were eliminated, and the fastback hump also supports the lower lumbar area. 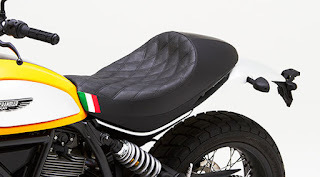 Add in slightly weathered leather and a timeless diamond stitching, plus a wide variety of natural and synthetic materials and colors, and you will be able to create the best-looking new saddle for your Scrambler. 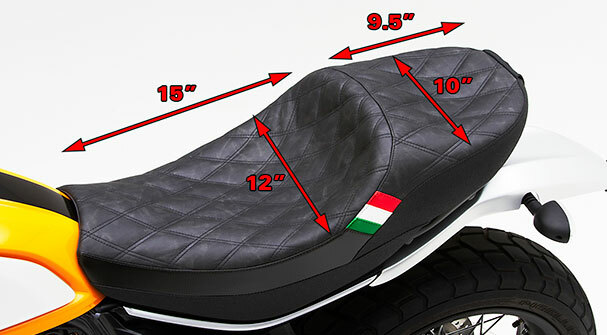 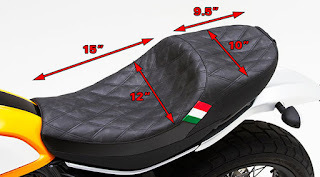 With a narrower front section that is also blending into the tank almost seamlessly, the Corbin Gunfighter seat also improved contact between feet and the ground. A Gunfighter & Lady two-up seat is also available, for those who feel like sharing the Scrambler fun with a passenger. 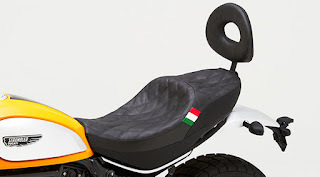 A passenger backrest can also be installed without any further modifications, adding to the safety and improving the feeling of being secure even on rough terrain.